We all know how important occupational health and safety strategies are in Australian workplaces. In an effort to boost awareness and encourage more businesses to adopt these life-saving practices, Safe Work Australia has launched its preparations for this year's safety month. Safe Work Australia Month will be held in October this year. The theme for 2014 is Work Safe, Home Safe, which reminds us that our families are the most important reason for OHS standards. If you want to get involved in safety month this year, you can consider taking part in one of our OHS training programs or signing up to become a safety ambassador in your community. For more information on the workshops and events scheduled next month, visit SafeWorkAustralia.gov.au. Asbestos exposure is a very serious problem in Australia, with people in a range of occupations facing potential contact with this deadly material during the course of their employment. For employers, asbestos awareness and removal training is one of the best methods of mitigating the risk of exposure in the workplace. To help workers understand the risks, Safe Work Australia – together with Comcare – have released the third annual Australian Mesothelioma Registry report. According to the report, 575 people were newly diagnosed with mesothelioma in 2013. More than two-fifth of these patients are male, with 80 per cent being over 60 years of age. Asbestos exposure continues to be a problem in Australia, with 60.9 per cent of workers surveyed by Safe Work Australia having experience possible or probable exposure in 2013. For more information on asbestos awareness training, talk to AlertForce today. When dealing with work health and safety in the workplace, it is vital that you understand your obligations as a manager, director or officer. The recent changes to the Work Health and Safety Act have meant that the company is no longer held primarily responsible for accidents, injuries and fatalities. This responsibility has also been extended to cover business officers and senior managers. The ACT became the first Australian state to prosecute an individual under these new regulations. In a case involving the electrocution of a dump truck driver in 2012, the ACT Work Safety Commissioner identified a number of failings regarding the company director's responsibilities. When the proceedings continue in December this year, the company officer is facing a potential $300,000 penalty. This shows just how important it is for directors and managers to understand their obligations, including the provision of relevant OHS training and personal protective equipment. For more information on these or other OHS stories, check out the articles on our news feed. August is National Tradies’ Health Month, which means now is the best time to consider the Work Health and Safety risks that face tradespeople in Australia every day. Working at heights is a common OHS hazard among tradespeople, with many individuals required to climb ladders and enter roof spaces to complete their work in the trades. With around 10 per cent of all work-related injuries caused by a fall from height, it is easy to see how working at heights training can benefit our nation’s tradies. And this consideration is becoming more important, as the number of tower blocks and apartment buildings being raised across Australia continues to climb. Population growth is driving demand for more space-efficient housing solutions, which is in turn influencing a need for trained construction workers. When individuals are working above ground on any project, having the right protection in place is key. Without training and fall-arrest systems, employers risk substantial fines or even injuries and fatalities on site. Asbestos awareness and removal is a vital consideration in Australia, as products containing the deadly fibres are discovered each day. The country’s extensive history with asbestos has made this material a serious threat to homeowners and employees in many industries. It is important, therefore, that Australians know what trends and discoveries are affecting buildings and work across the country. Here are just five recent headlines that shed some light on how asbestos continues to impact on local and international operations. As the campaign to remove loose-fill asbestos from home in the ACT continues, the NSW government has come on board, offering free inspections to any home built before 1980 in high-risk areas. Thus far, NSW has lagged behind the ACT in terms of addressing the “Mr Fluffy” crisis, claiming that the asbestos was safe as long as fibres were undisturbed. However, as the campaign to demolish affected ACT homes moves forward, NSW Finance Minister Dominic Perrottet announced the state would conduct health assessments in affected homes to make a better informed decision. “The NSW government is absolutely committed to ensuring the health and safety of all citizens in this state,” Mr Perrottet said in an August 15 statement. Fronting the campaign is the NSW Heads of Asbestos Coordination Authorities (HACA). This organisation is chaired by WorkCover’s Acting General Manager Work Health and Safety Division Peter Dunphy. “While the investigation will help determine the extent of properties that may be impacted it is important to remember that the risk of exposure to asbestos in buildings containing loose-fill asbestos is likely to be very low if the asbestos is undisturbed and sealed off,” Mr Dunphy explained. He added that sprayed asbestos insulation is a “highly hazardous” product, and should not be disturbed by homeowners or workers who have not undertaken asbestos removal training. A recent asbestos scare has seen a number of Bundaberg residents unintentionally putting their homes and gardens at risk. Many locals purchased garden mulch from the Bundaberg Regional Council rubbish tip. Unfortunately, a resident last month discovered small pieces of asbestos present in the product. 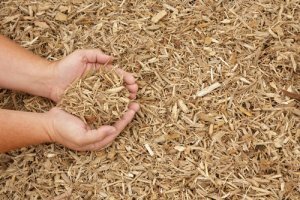 After sending the product away for testing, the tip continued to sell the mulch until the results were returned. This meant that dozens of residents had time to purchase and use the contaminated product. A spokesperson from the council explained to NewsMail that residents who had bought the mulch were being contacted and offered assistance. The council planned to send a qualified professional to each home to test gardens and undertake any necessary decontamination. Since the incident, measures have now been put in place to obtain contact details for those purchasing the council’s mulch, as well as improving monitoring of what is being dumped. Asbestos products are not normally allowed in the affected tip site, which means that material has likely been incorrectly disposed of. Anyone concerned about their garden should contact the Bundaberg Regional Council on 1300 883 699. The Wollongong City Council has pushed for increased asbestos education for residents. In addition to publishing a list of approved and licenced removalists, the council will also release an asbestos education program. Developed by the Asbestos Education Committee, these measures will ensure that local residents are aware of their responsibilities regarding asbestos assessment and removal. “All of the councillors were unanimous in expressing their concerns about the effects of asbestos on people’s health and believed council should and could do more to protect the health of Wollongong residents,” Councillor Jill Merrin told the Illawarra Mercury on August 10. A number of recent court cases have seen unlicensed removalists be landed with heavy fines. While these trials were located overseas, they each demonstrate the serious nature of unauthorised asbestos handling. In particular, an American man from Woodbridge, New Jersey has been given five years in prison for undertaking unlicensed asbestos removal in schools, homes, churches and pre-school centres. The man came under investigation after authorities discovered asbestos dust and material had been left in a day care facility he had been charged to clear. “[He] exhibited tremendous greed and callousness with his unlicensed and unsafe asbestos removal, putting the health of young children at risk so that he could turn a profit,” acting state Attorney General John Hoffman said in a statement. Another case in the United States has seen a man from Lebanon, Oregon fined more than US$13,000 for allowing an unlicensed individual to undertake an asbestos project on his home. Issued by the Oregon Department of Environmental Quality, fines regarding unauthorised asbestos work are handed out regularly to property owners and businesses. This particular fine was followed by a $8,800 penalty issued to a cafe in the same area that engaged the services of an unlicensed contractor. This shows that it is important not just for removalists to access the appropriate licences, for also for homeowners to ensure they hire the right people to undertake asbestos-related work. The unauthorised demolition of a home in Bardwell Park, NSW is just the tip of the iceberg in regards to unlicenced renovations, according to the Rockdale Council. While the owners of this particular property were given a stop-work order and a clean-up notice, a spokesperson from the council claims there are “dozens and dozens” of homeowners who are working on their homes without approval. These individuals are not only putting themselves at risk, but also creating hazards for the health of neighbours and workers by potential asbestos contamination. The home in this particular instance was over 70 years old, which means it is very likely it contained asbestos products, as reported by The Leader on August 15. A suggestion raised by locals is for approved and assessed demolitions to be given official notices to be displayed prominently on the site. This will help the community identify illegal works, and should boost the number of unauthorised projects the council is informed of and able to stop. The Rockdale Council has reissued warnings regarding older homes, particularly those that may contain asbestos materials. Residents who are planning renovations or demolition should engage a suitably licenced individual to assess the asbestos risk and, if required, carry out the removal. Non-compliance with the clean-up notice could result in a fine up to $1 million for a business and $250,000 for an individual. Traffic management training is a serious work health and safety consideration for businesses across almost every industry. However, some sectors are more at risk than others, according to recent headlines from around Australia. In particular, audits of mining companies in Tasmania in recent months have revealed troubling gaps in OHS standards. With safety inspectors overworked and underpaid, concerns have been raised regarding the efficiency of monitoring and controlling hazards. Mining vehicles often reach immense size and weight, so preventing collisions is vital to reducing the number of fatalities in the industry. Fortunately, this is where comprehensive traffic management training can help. Another area of significant concern is forklift safety in the manufacturing and warehousing industries. A Perth company was recently fined $30,000 when two untrained employees were injured after a forklift toppled over. Operating a forklift is a high-risk occupation, so it is important that workers access all the necessary permits and training before jumping behind the wheel. Confined spaces can pose many work health and safety risks, due to dangerous atmospheres and limited entry and exit points. This is why it is important for employers to understand the hazards their workforce could be facing, particularly in relation to accidents, injuries and fatalities in confined spaces. Unfortunately, a recent case in Victoria has seen an employer fined for a second time regarding a fatal confined spaces incident in 2010. Originally, the company was fined $80,000 for work health and safety breaches when a worker was overcome by carbon dioxide while moving stock in a confined space. With the right level of confined spaces training, the individual may have been able to identify the hazard and vacate the area before inhaling a fatal dose. This year, the same company now may have to pay damages to another employee, who suffered anxiety and post-traumatic stress disorder after witnessing the accident. This incident demonstrates how vital it is to provide employees with a safe working environment in which to complete their duties. For more information on this or other OHS stories, check out the articles on our news feed. Those undertaking a traffic management and control training program may be taking the first step towards a career in road construction and surfacing. Creating quality road infrastructure is a massive local industry, worth over $280 billion, according to Roads Australia. With more than 817,000 kilometres of road network already laid across the country, maintaining the existing roads and building new network connections takes a lot of work. This is why civil contracting roles are always in demand, with more than 70,000 individuals employed in this sector in 2012, the Australian Bureau of Statistics revealed. Unfortunately, this essential industry can pose many risks to employees’ health and safety. When working on or near public roads, there are always traffic hazards present. Vehicles are one of the leading causes of work-related injuries and fatalities, according to Safe Work Australia. Because of this, working near traffic has been defined as a high-risk activity, under the current Work Health and Safety Act. As with any high-risk industry, understanding and controlling the hazards is a crucial consideration. Fortunately, with the right level of training and education, workers can easily minimise WHS risks. This is particularly important for traffic controllers – who are required to work directly with both civil and public vehicles. In regards to addressing the risks traffic controllers face, industry authority, the Australian Asphalt Pavement Association (AAPA) has published an article in the most recent Asphalt Review dispatch. The publication highlighted the importance of workshops and training for traffic controllers, citing a number of issues that may be influencing high injury and accident rates. There have been a number of incidents that demonstrate the high-risk nature of surfacing work, particularly in regards to traffic managers. AAPA spokesperson Robert Busuttil pointed to one tragic day in November 2010, when two controllers were killed in separate events only hours apart. On this day, a 45-year-old worker and a 23-year-old man within his first week on the job were both struck and killed by reversing trucks. Both men were employed as traffic controllers at the time of their death. Following these accidents, the Heads of Workplace Safety Authorities (HWSA) released a report looking into the WHS failings present in the road surfacing sector. These dangerous issues are causing major hazards, as traffic controllers continue to work with limited knowledge of the risks they face each day. Additionally, managing the public and internal traffic can be difficult when not given an adequate or up-to-date control plan. Addressing these concerns is a crucial consideration for any person working in or planning to enter the road surfacing industry. Traffic controllers are a vital part of any civil construction project, with their work protecting the lives of their colleagues and the public. However, it is important that individuals employed in this role do not forget their own safety. Fortunately, increasing the awareness and understanding of personal and site-wide hazards is simple when the right training and education is in place. In this regard, the AAPA has developed a new workshop to improve WHS outcomes on civil construction sites. The Road Surfacing Awareness for Traffic Controllers course is aimed at improving the recognition of the hazards associated with related projects. Launched this month, the safety and awareness program is designed to help any worker who may be required to manage a traffic control plan. Additionally, supervisors and those responsible for approving or auditing these schemes can also benefit from the training. Prior to undertaking employment in the construction, road surfacing or similar industry, individuals are encouraged to seek all necessary training. Rather than waiting until accidents and near-misses occur, undertaking a traffic control program as a preemptive measure can help mitigate potential risks. In particular, any person who may be required to work as a traffic controller must access the mandatory traffic and pedestrian management and control training. Under state and federal legislation, all employers have a legal obligation to ensure only competent and adequately trained personnel are appointed as traffic controllers. However, each state and territory is subject to different regulatory requirements. Understanding the specific courses and training needs in your area can be difficult. This is why it is recommended that you contact a registered training provider who can direct you to the most appropriate course for your needs. This includes knowing when refresher training is required and which programs are needed prior to any work being undertaken. If you need any more information on traffic management and control programs, or want to access WHS training relevant to your industry, talk to the AlertForce team today. AlertForce can help you meet your legislative requirements, as well as creating a training program that suits your role and WHS needs. A recent spate of illegal asbestos dumpings has highlighted the need for more awareness and control over this dangerous material. On August 12, a large amount of asbestos was discovered strewn along the side of a busy road in North Rocks, NSW. This incident required hours of dedicated work safely contain and remove the material. Several roads were closed as the clean-up was undertaken, and Council General Manger Dave Walker explained that it was difficult to tell just how much asbestos had been dumped. It appeared likely that the material has been deliberately thrown from the back of a truck, as it was spread across a 300m distance along three separate roads. The council were taking this incident very seriously, and a full and thorough investigation is now underway. If caught, the individual responsible could face a fine up to $1 million and seven years in prison. Alternatively, if a business is found to be the source of this material, penalties would climb to $5 million. "Asbestos dumpers are the most inconsiderate and reckless of all illegal rubbish dumpers – they put the long-term health of innocent people at risk," Mr Walker said. While most people should now be aware of the dangers of asbestos material, it seems that many individuals are still practising unsafe dumping and removal. Unfortunately, this is not only putting themselves at risk, but also their families, friends and members of the public. When an untrained person attempts to remove asbestos from their home or business, it is possible that the deadly fibres could become attached to their clothing, skin or hair. If the individual then heads home without changing their outfit, they are unintentionally exposing everyone they come into contact with to the material. This means that your family and friends could be inhaling asbestos fibres all because you failed to undertake safe removal procedures. This is just one reason why it is vital that any person who may be required to work with or near asbestos is provided with the necessary asbestos awareness training. As we head into spring, it is likely that the warmer weather could encourage more homeowners to start DIY projects. Home renovations and amateur construction projects are a hot bed for asbestos exposure, with untrained members of the public unaware of the potential danger. This is why a number of licensed asbestos removal contractors and disposal facilities across Australia have launched a campaign to spread awareness. "Exposure to asbestos is very dangerous there are many risks involved in the removal but if people are given the correct procedure to follow and the right equipment to wear there will not be any problem," explained Justin Castelluzzo, part-owner of Adelaide-based waste management company, Metro Waste. "We tell every person that comes to the yard what's involved in correct asbestos removal and disposal and we still get a number of enquiries each day regarding the process." While educating the public regarding the danger of asbestos works to a point, it is also vital businesses dedicated to the removal of the deadly material access all the necessary licences and training. Often, companies and individuals rely on official removalists to undertake the process of containing and disposing of asbestos in the home or worksite. If these organisations are staffed by workers who have not obtained adequate education, permits or licences then significant hazards are likely. If you are interested in working as a qualified asbestos removalist, or have launched a business with this intention, it is vital that you understand how to access the necessary qualifications and licences. Under the Work Health and Safety (WHS) regulations, there are two key licences required by those removing asbestos products. Essentially, the Class A licence allows individuals to work with all kinds of asbestos, while the Class B is limited to non-friable material only. These levels can be obtained by accessing the relevant asbestos removal training through a registered training provider, such as AlertForce. Other crucial considerations are the asbestos supervisory licence and the assessors qualification. In some cases, asbestos removal projects will require a supervisor to be present at all times, while others may only need a qualified person on standby. Conducting asbestos assessments with the intention of removal requires a person to hold specialist skills related to identification of hazards and control of air monitoring. Without the relevant Level 5 qualification, individuals should not be employed in this role. More information on these particular obligations can be found at Safe Work Australia, or through your state's affiliate authority. To access the necessary asbestos removal training to get yourself started in this career, talk to the AlertForce team today. New figures from the Queensland Work Health and Safety (WHS) authority show that the number of construction-related complaints has climbed significant over the past year. This is according to an August 3 article published in The Sunday Mail, which revealed reports concerning safety breaches on local sites climbed to 2,765 for the 2013-14 financial year. In comparison, complaints reached just 2,092 in 2012-13 and 1,764 in 2011-12. One of the key influencers driving the increased complaints is the growing public awareness of WHS standards. While in the past, the majority of complaints were issued from internal sources, recent years have seen nearby residents and passersby become more widely represented in the figures. According to The Sunday Mail, this could be because the popularity of shows such as The Block and House Rules, which commonly feature segments outlining safety procedures and awareness. In addition to the rise in complaints issued, a WHS Queensland (WHSQ) representative has reveals that there were 10 workplace fatalities throughout the entire 2013-14 financial year. However, the current statistics show two people have died in work related incidents within a week. One of the individuals was killed when the trench they were working in collapsed and engulfed them, while the second died after falling six metres on a construction site. These incidents, and the WHS breaches that result in complaints, are demonstrations of the importance of correct safety procedures in workplaces. When policies are not present or not followed correctly, businesses can be hit with substantial fines or even experience serious accidents. For any individual who discovers a serious WHS breach, informing the proper authorities is vital for protecting the health and safety of employees and the public. WHSQ supports this important process by offering an online complaint form as well as a direct phone line for those wishing to make a report. If an individual does not wish to reveal their identity, complaints can be made anonymously. This is important for any contractor or employee who may not feel comfortable reporting on their boss or colleagues. Once a complaint has been received, WHSQ will review the details and take action depending on the nature of the breach. In many cases, this involves sending a Department of Justice representative to the site in question and ensuring those working in the area are aware of their obligations and best practice policies. The Department of Justice inspectors issued more than 1,300 improvement notices in Queensland in the 2013-14 financial year. Around 750 projects were forced to halt their work due to non-compliant and high-risk activity. Although the number of fines was down on previous years, 32 employers still received penalties of between $200 and $3,600 last year. The drop in overall fines issued is largely attributed to the change in philosophy by the Department of Justice. Now, the focus has been placed on working with builders and contractors to boost compliance prior to incidents being reported – rather than responding to accidents. With the number of complaints continuing to climb across Queensland's construction sites, the Office of Fair and Safe Work Queensland has revealed plans for a 2014-17 action plan. This initiative will target "critical risks/issues related to fatalities" within the construction industry, with a focus on traffic management, falls prevention, site supervising and mentoring of young workers. Another important factor for employers and workers to consider is asbestos exposure, with issues related to the dangerous fibres making up more than a quarter (28 per cent) of total complaints. Fortunately, it is not difficult to address these concerns in workplaces and construction sites across Australia. In fact, there are a few simple measures that can be put in place to mitigate the risk of serious WHS breaches and non-compliance. When responding to the high number of workplace complaints, employers working in high-risk industries – such as construction – probably already have policies in place to boost safety. However, in some cases, a basic knowledge of the WHS standards may not be enough to avoid accidents and injuries. In particular, when employees are not continually supervised and reviewed, they could make changes to their work behaviours which fail to meet safety requirements. This is why it is vital that employers regularly check up on their workers and keep them informed and aware of their changing WHS needs. Additionally, employers, supervisors and site managers should undertake the following standards to ensure that best practices are being followed at all times. When you want your workers to follow correct WHS policies, it helps to hold a thorough understanding of these practices yourself. It is therefore important that all leaders and stakeholders access the relevant education that can help boost WHS compliance. This could include contacting your local Work Safe Authority, or undertaking comprehensive WHS training. As well as increasing your own understanding and knowledge, it is vital that you provide all relevant workers with the necessary training to protect themselves and others. By giving employees access to these qualifications, they are more likely to work within industry standards. While some competencies may be more relevant than others, the construction industry is an area that requires a large number of skills to operate safely. For instance, most workers within the building sector will need some level of working at heights training throughout their career. This is reflected in the high number of workplace fatalities that are related to falls and working at heights. Once an individual is working two metres off the ground, their risk of serious injury or death increases dramatically. With much in construction work involving roofs and tall structures, this is an important consideration for all industry employers. In addition to accessing the necessary training and education for you and your workers, it is crucial that the worksite offers all necessary safety equipment and set-ups. Many WHS complaints involve environmental and situational issues, such as ladders being set on uneven ground or scaffolding placed under live power lines. Additionally, a lack of personal protective equipment is also a common reason for complaint. For instance, a worker climbing over a roof without a fall-arrest system in place may be grounds for an official WHS complaint. Alternatively, unstable or unsecured scaffolding may also be cause for alarm. Addressing these issues is easy, when employers invest in the right equipment and environmental reviews. However, knowing which systems would be most beneficial and being able to identify and address potential risks is vital. With WHS training and reviews, employers can ensure that they and their workers understand these factors – significantly reducing their risk of accidents and injuries. If you need more information on your WHS training requirements, or how to improve safety on your construction site, get in touch with the AlertForce team today. The National Broadband Network is being steadily rolled out across the country, with more Australian homes connected to the service every week. As the project continues its campaign, regional workers may soon see job opportunities to land in their area. Overall, construction of the network is expected to employ 18,000 individuals, according to Deloitte. The project to connect every Australian to fast broadband has started to infiltrate regional towns, with this activity expected to pick up this year. Over the past 12 months, 20,000 premises in remote and regional areas have been connected to the network. But there is still a lot of work to do. Fortunately, those interested in taking part in the rollout, and working on sites in regional communities, can access the mandatory NBN safety and awareness training online through AlertForce. The health, safety and wellbeing of tradespeople in Australia is under the spotlight this month, as industry bodies launch the National Tradies' Health Month. Throughout August, the Australian Physiotherapy Association – together with work boot manufacturer and supplier Steel Blue – will be supporting initiatives which raise awareness of the hazards in many trade industries. Of particular importance are musculoskeletal health issues, caused by lifting, slips, trips and falls. "Too many tradies are injured on site every day, 80 per cent of injured workers in Australia are tradies and labourers," Steel Blue General Manager Ross Fitzgerald explained. "We have been working closely with the Australian Physiotherapy Association to encourage a behaviour change amongst tradies, to make them more aware about the importance of health and safety, at work and home." Trades can be the most dangerous occupations in Australia, with a vast and complex range of hazards present each time an individual commences work. Because of this, around 10 Victorian tradespeople are badly injured at work each day, according to WorkSafe Victoria. This means that 3,560 tradies sustain an injury that requires workers' compensation each year. "The number of deaths, injuries and safety breaches prove that everyone – builders, contractors and workers – must do more to make sure workers get home to their families safely every night," WorkSafe Chief Executive Denise Cosgrove said. According to Safe Work Australia, around 10 in every 100,000 workers claim compensation related to musculoskeletal disorders. Nearly a quarter of all roofers, labourers and plumbers experience back pain, muscle stress and strain from lifting equipment or slips, trips, and falls when handling materials. "The injuries caused on sites are not always life threatening, but are often painful, costly and result in long periods off work," said Ms Cosgrove. Unfortunately, when workers require time away from employment, mental health becomes another major issue among tradespeople. Statistics released on the official Tradies' Health website reveal that 18 per cent of injured workers sought mental health services after six months off work. After a year off, that number increased to 30 per cent. What are the risks to tradies' health? There are many potential risks to the health and safety of tradespeople in Australia. With these roles often playing a crucial factor in a number of industries, addressing every hazard can be challenging. To help tradies and employers understand the risks facing tradespeople, here are five of the most common hazards. Falls from roofs, ladders, scaffolding and other heights account for around 25 per cent of all workplace fatalities, according to WorkSafe Victoria. Many trades-related occupations can require an individual to work above the ground. Every time a tradesperson climbs a ladder, they are putting themselves in danger of a serious injury or even death. Fortunately, simply strategies can be put in place to avoid these accidents. In particular, employers should provide all at-risk individuals with necessary fall-arrest systems and working at heights training. When a tradesperson works on a building or structure that was built before 1990, there is a significant risk of being exposed to deadly asbestos fibres. Each time a worker cuts into a wall, for example, the resulting dust could contain asbestos. If the individual was to then inhale the dust, they would forever be at risk of developing an asbestos-related lung condition. It is important for all workers who may be working in environments that contain asbestos to access the necessary information and guidance. For instance, older buildings should have a register that indicates the presence of asbestos so workers can avoid dangerous areas. Additionally, undertaking asbestos awareness training will ensure workers are able to monitor and identify asbestos fibres in any workplace – which is ideal for tradespeople who often move from site to site. Electricity is a major concern for some tradespeople, as their occupation may involve working directly with wires and other electrical equipment. For others, it is less of a persistent threat but can still pose a risk when working in certain locations. Any tradesperson who may come into contact with electricity during the undertaking of their duties can follow a few simple practices to ensure their own safety. These include personally checking wires and equipment are not live before handling them and wearing the necessary protective equipment – such as thick gloves and rubber-soled boots. Musculoskeletal disease is one of the most common injuries reported among tradespeople, with the culprit usually being unsafe lifting procedures. Back pain and muscle sprains are typical results of incorrect lifting, and these injuries can seriously affect a person's ability to continue physical work. If a tradie was to permanently injure their back, they could lose their entire income due to not being able to complete the tasks they are trained for. It is therefore crucial that practices are put in place to promote safe lifting techniques, such as warming up and stretching before undertaking any strenuous labour. Whenever possible, physical lifting tasks should be avoided – employees need to understand when a crane, forklift or wheelbarrow is suitable. Additionally, tradies need to be encouraged to ask for help. Some individuals may believe that asking for help would make them seem weak and unable to perform their job – however, seeking assistance is recommended and demonstrates an admirable knowledge of one's own limits. Tradespeople are often required to use loud equipment and machinery during the undertaking of their duties. For instance, an electrician may need to operate drilling equipment to access the wires in a structure. Excess noise can also be a risk when operating a heavy vehicle or working close to other construction work. Unfortunately, once you feel pain the damage is already done, so it is important to put preventative measures in place. Examples of this could be wearing earmuffs or plugs whenever you are using a hand drill or other loud piece of equipment. Noise-related hearing damage is permanent, so don't just put up with excessive sounds – talk to your employer or human resources department about the protection and policies you need. How can you get involved with National Tradies' Health Month? There are a number of ways individuals and corporations can take part in National Tradies' Health Month. A variety of events are being held across Australia, raising awareness of the hazards tradespeople face and methods to control these risks. A list of the events can be found on Tradieshealth.com.au. Alternatively, employers and tradespeople can register to host their own event – as well as access a range of WHS resources to share with staff. For a more unique and interactive approach to boosting hazard awareness, individuals can play the online game. The Australian Physiotherapy Association and Steel Blue have released this fun and informative game to encourage increased participation in WHS initiatives. If you need more information regarding occupational health and safety in the trades, or would like to access a relevant training program, get in touch with the AlertForce team today. If you own and operate a small business in Australia, then it is your responsibility to ensure your employees are provided with a safe working environment. Work-related injuries and accidents are a serious issue across many industries, with a significant number of fatalities and workers' compensation claims being lodged each week. According to Safe Work Australia, almost 100 people had died in work-related incidents in 2014 by the end of July. This amounts to nearly one fatality every second day. Reducing this number is an important work health and safety (WHS) consideration for any Australian business owner, as even one preventable death is too many. Fortunately, SafeWork SA has released a seven step safety guide and checklist for small businesses. By following this plan, employers and owners will more effectively understand and meet their obligations regarding Australian WHS standards. This action plan includes practical advice on how to improve safety in the workplace, with general information that can apply to a vast range of industries and occupations. There are many ways an employer can meet their obligations as a person conducting a business or undertaking (PCBU). Safe Work Australia explains that, as far as is reasonable practical, the primary duty of a PCBU is to ensure the health and safety of workers (and visitors to the workplace) is not put at risk. In particular, it is vital that business operations and conduct does not create unnecessary hazards. This is why the seven step process is crucial for any persons launching a startup enterprise or running an existing small business. The guide, released on July 30, encourages employers to work with their workers when addressing potential risks in the workplace. Safety improvements can be implemented more efficiently and effectively if all employees are aware of their responsibilities and requirements. Prior to commencing the seven step process, PCBUs should compare their current operations with the WHS snapshot. This document helps employers identify where there is room for improvement and which areas should be priorities. Once this has been completed, the seven step action plan should be put in place. The very first action you need to take as a small business owner is to ensure the working environment is supportive of WHS standards. This includes investing in quality machinery, mitigating trip hazards and supplying any necessary personal protective equipment. This step can generally be achieved by engaging a Safe Work representative to review your site. Once the potential hazards have been identified, policies and protection can be enacted to prevent accidents. Other PCBU responsibilities include installing WHS information sheets and reporting procedures, to ensure workers and visitors are aware of crucial risks and practices. A common example of this is to have evacuation procedures prominently displayed in the workplace, where both employees and the public can find it. As well as engaging the services of an official representative, employers should involve their workers in the WHS process. In South Australia, this is a legal requirement under the WHS Act (2012). Your employees often have first-hand knowledge of the potential hazards they face during business conduct, so they can provide valuable insight into your WHS policies. Consulting with your workers is not only beneficial for you, but will ensure that every worker is aware of the risks in the workplace. This review and discussion should take place whenever business processes and practices change, as any minor adjustments can affect potential WHS hazards – putting uninformed workers at risk. Once you have identified and addressed the numerous hazards in the workplace, ongoing management policies need to be put in place. Having procedures in place will ensure that workers continue to follow WHS standards, particularly as regular reviews are made. Training is one of the most vital factors in improve WHS outcomes, as misinformed and untrained employees can struggle to understand and adequately address their risks. Your WHS training requirements will vary depending on the industry in which your business operates. However, it is the duty of the employer to know and access the correct courses and programs for their staff. For instance, any business that involves handling or working near materials that may contain asbestos could benefit from asbestos awareness training. As well as investing in the required education, employers need to ensure that adequate supervision is provided to monitor new workers and those undertaking unfamiliar tasks. A competent supervisor will ensure that safety policies are being followed and correct procedures are in place. Once the required training and policies have been integrated into the business, employers need to regularly check that these processes are still being utilised and have remained relevant and effective. Hazards and operations can evolve throughout the life of a business, which means that original WHS standards may not suffice for future risks. By carrying out regular reviews and maintenance, PCBUs can ensure best practice policies are in action at all times. Documenting injuries, incidents and near misses is an important legal requirement for any business. This includes recording any maintenance, inspections and tests you perform. By keeping this information on file, you can respond when your Safe Work authority requests the reports – which may occur in the event of an accident. This will also make it easier for you to monitor health and safety in the workplace, so you can quickly and efficiently act when potential issues are identified. As your business grows and evolves, so too could the hazards. It is therefore vital that you regularly review and improve your WHS standards and policies to suit your changing business. If you need any more information on monitoring WHS in your business, or would like to access the training your staff require, get in touch with the AlertForce team today. Working at heights training is an important consideration in many industries across Australia, but some sectors are more dangerous than others. In particular, the high risk forestry industry recently announced plans to continue a partnership designed to improve worker safety and awareness. The New South Wales WorkCover authority has signed an ongoing agreement with the Forestry Corporation to provide training in areas such as working at heights, traffic management and driver safety. Within the construction sector, high winds kept workers on their toes in Victoria and New South Wales earlier this month. As bad weather swept across the country, various WorkCover bodies issued warnings regarding working at heights and the dangers of structure collapse. As winter continues to create havoc across Australia, and spring approaches, workers in the southern states in particular need to prepare for ongoing strong winds. The construction industry often relies on scaffolding and elevating platforms to perform important work above the ground. In particular, Australia's capital cities have seen apartment buildings and tower blocks being constructed taller than ever before in recent years. High-rise construction work is expected to experience a continued rise in activity, according to the latest report from BIS Shrapnel. The Building in Australia 2014-2029 study, released on July 21, forecast a growing demand for apartments in order to meet the housing needs of an increasing population. Currently, Australia is facing an estimated dwelling shortfall of approximately 100,000 homes. Due to the 1.7 per cent annual population growth rate, BIS Shrapnel Associate Director Dr Kim Hawtrey expects it will be some time before this demand is met. "Home building has been punching below its weight for about a decade, and has not kept pace with population growth for some time now," said Dr Hawtrey. "We estimate that it will take the next five years to eliminate the unmet demand for housing. We therefore do not see this housing shortfall closing until 2018." In particular, the report identifies apartments and tower blocks as a key driver to rising construction activity. As the population grows, major cities are combating urban sprawl by building up instead of out. This means that construction businesses in Sydney, Brisbane and Melbourne are likely to participate in projects that require the use of major scaffolding. "In the next two years we'll also see the recent emphasis on high-rise units continue. Currently two high-rise apartments are being built for every five detached houses, which is double the historical rate of one apartment for every five houses built," Dr Hawtrey explained. When working above ground, there are many considerations that need to be made in order to protect the health and safety of workers and the public. This includes engaging qualified scaffolding installers and accessing working at heights training for all relevant employees. Undertaking any tasks above the ground can put workers at risk due to the fall hazards. Once an individual is more than two metres off the ground, their chances of serious injury or even death are significantly increased. Fortunately, properly installed and maintained scaffolding can help minimise the risk of falling, due to industry regulations that these structures must comply with. Additionally, any worker who may be required to climb on and perform tasks involving scaffolding should be offered working at heights training as well as comply with dangerous work permits. To help employers understand their requirements regarding scaffolding and working above the ground, Safe Work Australia has recently released a series of guides designed to raise awareness of the hazards and controls related to this work. In particular, workers and employers can now access a series of five documents outlining specific scaffolding requirements and work health and safety standards. The first document is a general guide providing information on the overall use of scaffolding. This publication outlines what scaffolding is, how it relates to construction work and the hazards involved in its use. According to Safe Work Australia, a scaffold is a temporary structure constructed to provide working platforms above the ground. In this guide, scaffolding work refers to the erecting, altering and dismantling of the individual components that make up a scaffold. The important elements contained in the general scaffolding guide include hazard controls related to anchoring, installing and taking down these temporary structures. Common risks to employee health and safety outlined within this document include scaffold collapse, electric lines, uneven ground, falls and dropped objects. While following the recommended safety standards should help worker avoid these hazards, accidents can still occur. Because of this, Safe Work Australia recommends that an emergency plan is prepared and in place before any work begins. As with any equipment in the construction industry, regular maintenance and safety inspections are crucial for scaffolding safety. Safe Work Australia's inspection guide requires that any scaffold that poses a fall risk of more than four metres should not be used unless signed off by a qualified and competent person. Inspections are recommended prior to work being started, as well as during construction projects. Scaffolds higher than four metres must be assessed at least every 30 days while in use. If an inspection identifies an issue with the structure, work must be halted while any necessary repairs and alterations are carried out. Once this process has been completed, a follow-up inspection is required before normal work can resume. The practical guide to scaffolds outlines the different kinds of structures that can be included under this umbrella. For instance, a birdcage scaffold is an independent platform generally used for work on a single level. This particular scaffold type requires different working at heights safety equipment, as fall-arrest systems are usually not suitable for controlling risks within birdcage structures. Comparatively, a hung, single pole or trestle scaffold could require the use of fall-arrest equipment, such as harnesses, anchors and suspension. It is important for workers using scaffolding to know what kind of structure is being utilised, and the specific hazards present in each situation. Once this is understood, the proper standards and controls can be put in place. Perhaps one of the most dangerous forms of scaffold is the suspended platform. Installing these scaffolds requires a person holding an advanced scaffolding or rigging licence. Workers operating a suspended platform do not need to hold a high-risk licence but should be provided with the necessary fall-arrest equipment and working at heights training to avoid potentially fatal falls. This type of scaffolding presents a number of unique risks, particularly as the platform is often used on the sides of high-rise buildings, where wind and weather elements can significantly increase risk to workers. Fortunately, with the right controls and policies in place, these hazards can easily be mitigated. In particular, inspections, training and personal protective equipment are crucial for protecting the health and safety of suspended scaffolding operators. While most types of scaffolds are fixed in place, tower and mobile standards can usually be moved across sites in order to access multiple points above the ground. Because of this, it is important for workers using these structures to remain aware of environmental hazards, such as uneven ground and interactions with machinery. If a mobile scaffold was to be placed on a minutely sloped surface, the resulting work on the platform could be enough to create movement and cause the structure to move. It is therefore crucial that scaffold safety features are in place, such as brakes on the wheels and anchors to fixed points. Furthermore, individuals undertaking tasks on these structures will benefit from working at heights training, as this competency will ensure they are aware of their hazards and the controls that are required. For more information on working at heights training and scaffold safety, get in touch with the AlertForce team today. There are many potential circumstances in which an employee may be required to enter a confined space. While working within enclosed areas is at times unavoidable, workers within these locations often face significant risks to their health and safety. Whether conducting work within a tank, tunnel, chimney or similar enclosed space, individuals experience unique occupational risks because these areas are not generally designed for human inhabitation. Specific hazards present within confined spaces include unsafe oxygen levels, engulfment and inhalation of atmospheric contaminants. This is why it is vital that any person conducting a business or undertaking (PCBU) is required to ensure their employees have adequate supervision, confined spaces training and access to personal protective equipment (PPE) whenever required to enter an enclosed work environment. The Safe Work Australia Confined Spaces Code of Practice lists "information, instruction and training" as one of the key factors in protecting occupational health and safety (OHS) standards in a confined space. What hazards are present within a confined space? Why is risk control important and how can you implement these measures? Individuals working in any industry that may require them to enter a confined space as part of their occupational undertaking should access confined spaces training. Due to the diverse nature of enclosed spaces in the workplace, many sectors and occupations could be at risk. In particular, the following four industries may benefit the most from relevant training and OHS practices. Confined spaces are found frequently in farms and other workplaces within the agriculture industry. Common examples of areas in which an employee may be required to enter include silos, grain storage, water tanks and manure pits. Serious OHS risks are present in each of these locations and more, according to Workplace Health and Safety Queensland. In particular, the most significant hazards to employee wellbeing are oxygen deficiency, carbon monoxide build up, airborne organic contaminants, poisoning and suffocation. Many of the materials, stock and equipment used in or around confined spaces can contribute to these hazards. For example, grains and other organic matter can absorb oxygen within silos, leading to difficulties breathing in silos and storage tanks. Confined spaces training is an important factor in improving the health and safety of agriculture workers. Additionally, all duties carried out within enclosed areas should include the use of protective equipment, atmospheric testing and the employment of a stand-by person who can raise the alarm is an emergency were to occur. The mining industry is one of Australia's largest employers, with around 267,000 individuals working in mining and related services, according to Mining Australia. Unfortunately, many workers will sustain an injury while employed in this industry. A few employees will even perish during the course of their occupational undertakings. In fact, a recent report from Mining Australia shows that miners die more frequently in Australia than in Iran. Iran, a country with approximately 5,600 operational mines, reports one miner dies every 16 days across the country's resources industry. Comparatively, Australia's 446 mines have seen 12 workers die so far this year. With just 180 days passed before hitting a dozen fatalities, this means one mining employee dies every 15 days in Australia. Out of these deaths, a significant number were caused by cave-ins while one worker succumbed to fumes within a confined space. The frequency of these fatalities occurring could have reduced if risk assessments were conducted by trained individuals and supervised by qualified management staff. When working in the freight and storage industry, it is vital the employees understand the risks of transporting and working in close quarters with hazardous materials. Ships' holds, freight containers and truck tanks are just three examples of the kinds of confined spaces those employed in this industry may be required to enter. In many cases, it is vital that PPE devices, such as atmospheric monitors and breathing apparatus are available for employees. In addition to providing workers with this equipment, it is also important to ensure individuals can correctly fit, use and maintain these devices. Whether working in residential construction or civil works, those employed in this industry may be required to enter confined spaces during the undertaking of their duties. Common confined spaces found in this sector include crawl spaces, drainage or sewerage pipes and trenches. A variety of OHS risks can be present in these areas, such as unsafe oxygen levels, engulfment and wall collapse or cave-ins. Minimising the risk of injury or death within the construction industry is an important objective for all employers, as this sector accounts for approximately 9 per cent of the total Australian workforce and 11 per cent of all workers' compensation claims, according to Safe Work Australia. Any PCBU operating within the construction industry needs to access confined spaces training for all employees who may be required to enter a confined space. Additionally, supervisors or stand-by personnel responsible for those within a confined space should also be offered the same training. If you're working in one of these industries, or would like more information on improving OHS outcomes in any of these sectors, get in touch with AlertForce to access nationally recognised confined spaces training today! As gale-force winds blew across the country this week, various occupational health and safety (OHS) organisations issued warnings to construction workers. Wind gusts can be extremely hazardous to workers due to their unpredictable nature. When high winds occur, structures under construction are in particular danger of collapsing, which presents immediate OHS risks to any employee working on or around the site. WorkCover NSW and WorkSafe Victoria each released a statement urging employers to prepare for potentially wild weather. In particular, safety alerts have been circulated regarding structure collapse after a Victorian construction worker was killed during a wind storm. "Tragically, a builder died [on June 23] when a brick wall fell on him at a construction site in Brighton East during strong winds," WorkSafe Victoria Executive Director of Health and Safety Len Neist said. "Every year, there are serious incidents in which strong winds lead to the collapse of walls on buildings under construction." Mr Neist reminded employers that windy conditions can occur at any time of the year, so construction companies need to constantly vigilant regarding structure stability and working at heights. WorkCover NSW Work Health and Safety Division Acting General Manager Peter Dunphy agreed with Mr Neist, adding that cranes should only be operated within manufacturer's guidelines and loose materials must also be inspected on a regular basis. "Structural collapse on a site can have tragic consequences and everything should be done to ensure any risks to workers and members of the public are minimised," he said in a June 25 statement. When wind gusts and gales occur, there are many potential risks to outdoor workers. In particular, those employed the construction industry who are required to work at heights and on partially completed structures face significant hazards in adverse weather conditions. The dangers present when working at heights during high winds are not just limited to a potential collapse. Strong gusts can cause an employee to lose their footing and fall to the ground, resulting in serious injury or even death. Obscured vision is another potential risk, as dust and debris are picked up by the wind and impact on workers' eyes. In gale-force winds, larger debris can also be moved, creating projectiles that can injure an individual on impact, or knock them off their feet. When high winds are present, other adverse weather conditions are usually also in play. In particular, wind gusts that come as part of a cyclone or storm are typically coupled with rain, for example. This can lead to increased danger when working at heights due to wet and slippery surfaces. Additionally, hail and lightning strikes can pose serious risks for employees working outdoors. Because of this, employers should consider halting all external duties when adverse weather conditions strike an area. If wind warnings are in effect in your area, there are a range of OHS measures you can take to ensure the health and safety of your workers are protected. This includes policies that should in place, before, during and after outdoor work occurs. If outdoor work is required on your site, be sure to monitor weather reports regularly. All employers operating within the construction industry or related sectors should be prepared to stop work or move the alternative duties during times of adverse weather. When checking local weather forecasts, remember average wind speed warnings may not account for gusts. It is therefore important to prepare for sudden wind bursts at speeds and strengths much higher than predicted. Before commencing any work on partially constructed buildings or sites, all walls and structures should be braced and inspected for integrity. When high winds are forecast, temporary supports can be installed and loose materials should be secured. After assessing platforms and bracing structures, employers should also consider the installation of harnesses and fall-prevention anchors. Providing this critical personal protection equipment (PPE) is a vital factor in ensuring if collapse does occur, employees are able to recover and avoid a fall. In addition to these measures, it is important to invest in adequate training and education. All employees required to perform duties above the ground need to have undertaken sufficient working at heights training to ensure they are able to correctly respond to OHS hazards, such as wind. Additionally, competencies in this field will include the ability to safely fasten, use and maintain fall-prevention devices and other PPE. If high winds are forecast, employees should, if reasonable, avoid heights and stay clear of partially constructed structures that may not be adequately braced. Workers are encouraged to seek shelter within structurally sound buildings if gusts reach gale-force strengths. While work is being performed at heights, employees should be using fall-prevention systems at all times of adverse weather. This will ensure that if a gust causes a worker to lose their footing, they are able to recover and avoid a fall. Additionally, employees should be encouraged to wear eye protection so dust, wind and debris do not obscure vision. These PPE solutions will stop debris from impacting on employees eyes, enabling workers to clearly see their path – minimising the risk of tripping, slipping or falling. Once adverse wind conditions have passed, thorough assessments should be performed on all structures and platforms that may have been affected. Employees should be checking for any debris and potential damage to platforms, structures and walls. If wear and tear is discovered, work should be halted on these structures and repairs need to be undertaken before any duties are recommenced. In some cases, this may cause delays to construction projects but will often cause less disruption than if an injury or fatality was to occur. When weather events such as tropical storms and cyclones affect an area, employers need to maintain high alertness as these weather systems can easily change direction and return to areas just passed. This means that once a storm has left a location, workers must remain vigilant and be prepared for high winds to pick up again. Additionally, some tropical storms and cyclones may become calm during the eye, with extreme weather conditions following close behind. In these situations, it is crucial that work is not recommenced to a degree where it will difficult to stop and seek shelter once winds and rain resumes. Working at heights can pose many significant hazards to employee health and safety. Even when weather is calm and clear, the risk of tripping and falling are present. Ensuring your employees can undertake work above the ground safely and effectively is crucial to maintaining high OHS standards and delivering projects to an efficient schedule. To help protect the health and wellbeing on your employees, and boost productivity on above ground sites, contact the team at AlertForce for more information on working at heights training. This nationally recognised course provides individuals with the skills and knowledge needed to protect their own safety, and the wellbeing other others, when required to work above the ground in any industry. There are a vast range of considerations that need to be made when working at heights. The risk of injury or even death is present even when employees are required to undertake tasks only above two metres above the ground. According to Safe Work Australia, more than one in 10 work-related fatalities are caused by a fall from height. This troubling statistic highlights the importance of following correct occupational health and safety (OHS) measures when working above ground. In order to meet strict OHS standards, employers must ensure their workers have undertaken comprehensive working at heights training. Individuals can access nationally recognised courses from AlertForce, an expert and specialised OHS registered training provider. Additionally, when the industry, business or occupation requires workers to conduct tasks above ground, employers should introduce the five step working at heights hazard hierarchy to ensure correct procedures are being followed. Designed to minimise the risk of accidents, injuries or death, the hierarchy includes steps to identify, address and avoid hazards as well as responding to any potential incidents. Understanding and following this process is crucial for meeting OHS standards and ensuring employees are protected when working at heights. There are many potential hazards present when working at heights, particularly pertaining to the risk of falling from an elevated surface. Each occupation can pose different risks for employees, as each individual conducts tasks that are unique to their industry. Employers and workers must each ensure they understand the particular hazards that could affect their site. For instance, construction workers may be required to work on sloped roofs or use scaffolding to reach the sides of buildings. Other situations that can pose unique working at heights hazards include linesmen being exposed to electrical dangers, painters using ladders while carrying heavy paint buckets or freight drivers clambering across loose loads on truck trailers. Most situations that involve working at heights are conducted outside, which poses a number of additional risks. Australia's weather can be volatile and unpredictable. When an individual is working on a platform, ladder or roof that is exposed to the elements, there is always the risk that the wind, rain, heat or frost will influence a fall. It is therefore important that employers and employees monitor the weather regularly. If conditions begin to turn, a decision needs to be made regarding the safety of working outside and above ground. There are a huge amount of potential risks in many industries, so accessing comprehensive working at heights training is crucial to ensure individuals can accurately assess their own OHS requirements. Once the hazards have been identified, the first step to mitigating the risk of accidents and injuries is to avoid working under the conditions at all. This is the most simple and effective measure you can take to protect OHS on your worksite, however, it is not always possible to avoid working at heights. For instance, when conducting businesses in the construction industry, many tasks require work to be performed above ground – on scaffolding or roofs. Whenever possible, work should be designed to ensure individuals are not required to work at heights. This policy is recommended to be followed from manufacturing right through to onsite work. A good example of how manufacturers can help mitigate the need to work at heights is by designing equipment so it can be manoeuvred into a new position when repairs or maintenance is required. Various models of this policy include machinery that can tip onto its side to improve access to the top or long-handled paint rollers that allow painters to perform their work without climbing a ladder. When working at heights is unavoidable for business undertakings, there are still choices and options available to completely remove the risks affecting employees. For instance, construction workers and other outdoor employees should avoid working at heights through adverse weather conditions. When the wind or rain picks up, individuals working outside are exposed to increased risks, including slipping on wet roof tiles or being blown off-balance by a gust of wind. During all times when individuals are working at heights, certain risk control measures should be put in place. This can range from simple warning signs to extensive fall-arrest systems. Depending on the situation and environment, guard rails may be the most effective fall prevention measure. Specific Safe Work Australia recommendations are in place to ensure rails are working effectively. This includes the installation of a top rail 900 to 1100 mm above the work surface, a mid rail and a toe board. Similar fall prevention initiatives could involve using elevated platforms – such as scissor lifts – instead of ladders, safety mesh strung within internal roofs and work boxes designed to be suspended by cranes and forklifts. In addition to these possible safety measures, employees must be given access to all necessary personal protective equipment (PPE). Individual rope systems and fall-arrest devices, such as harnesses, anchorage lines and lanyards, enable employees to work at heights with the peace of mind that if they slipped or fell, they would be caught before reaching the ground. However, it is crucial that these systems are correctly installed and maintained, as an improper set-up may result in an individual reaching the ground before reaching the end of their rope. The ability to select, maintain and use these devices should be included in any working at heights training you or your employees access. If an accident or emergency occurs when an individual is working above the ground, ensuring you can safely enact an emergency response plan is crucial. For most employees, this would simply include the knowledge of who to contact when an incident occurs. In more urgent matters, however, some first aid and rescue training may be required. When responding to an emergency, individuals need to hold competencies including the selection of rescue equipment, the ability to administer first aid at heights and the assessment of potentially faulty platforms or systems. If an employee has sustained an injury or been involved in an accident, it is likely that the environment is hazardous and could pose further risks to response teams. If your industry or occupation requires work to be conducted at heights regularly, it is important to ensure your OHS practices are maintained throughout the entire course of the business undertaking. This means working at height hazards should be frequently reviewed, to ensure changing conditions or equipment wear and tear does not increase risk and cause accidents. In particular, all equipment, platforms, machinery and environments should be assessed for hazards routinely. If potential dangers are identified, they need to be addressed as soon as possible. Furthermore, employers should ensure their employees' training is refreshed and updated when necessary. This will improve OHS outcomes by providing workers with the latest skills and knowledge while boosting their existing qualifications. If you or your employees require a working at heights training refresher or initiation, contact the team at AlertForce for access to industry-leading OHS courses. Working at heights can pose many hazards to employees, due to the risk of tripping, slipping or falling from the elevated platform and sustaining serious injuries. Between July 2003 and June 2011, 232 individuals were killed by a fall from height related to their work, according to figures from Safe Work Australia. This accounted for 11 per cent of all workplace fatalities during that time. Furthermore, more than 6,900 workers were hospitalised due to injuries sustained in a work-related fall. In particular, those working in the construction industry seem to be most at risk of falling from heights, with 37 per cent of all fall-related workplace deaths and 35 per cent of all injuries occurring on construction sites. Addressing this troubling prevalence of death and injury is a serious concern for employers in the construction industry. It is therefore important to understand all possible factors that may result in a fall from height. While many organisations offer their employees working at heights training to help them prepare for the hazards of working on sloping roofs and unstable ladders, there is another common cause of workplace falls that generally receives less attention. Fragile roof surfaces pose a significant risk for those working at heights, as material that cannot sustain a person’s weight is often not easily identifiable. When an employee steps onto a surface that was not built to sustain weight, or has degraded in strength, they risk falling through the roof and sustaining serious injuries. According to the UK Health and Safety Executive (HSE), falling through fragile surfaces accounts for 22 per cent of all construction-related fall from height injuries. This hazard is commonly experienced across the world. Within the past month, three separate incidents of individuals falling through fragile roof lights occurred in the UK alone, with those involved suffering serious injuries. The organisations found to be at fault received significant fines as a result. Here in Australia, falling from roofs and platforms accounts for 20 per cent of all fall-related fatalities. Often, the employees who experience the fall are repairing or replacing the roof when the incident occurs. In order to avoid individuals falling through a fragile roof surface, it is important to be able to identify the affected areas. This will enable employees to put measures in place to avoid the fragile surfaces. Often, a fragile roof surface will consist of a skylight or dome light installed in the building. These are easily identifiable and can usually be roped off and sign posted to mitigate the risk of an individual stepping on them. However, some fragile roof surfaces are simply parts of the roof that have become degraded and weak through weather damage or other events. Identifying these areas can be more difficult. It is therefore important that employers conduct thorough site inspections to test and measure the holding capacity of any section of roof that may be walked on. A register of any potential weaknesses should be made, including any roof material that contains asbestos or damage. Once any potentially fragile roof surfaces have been identified, employers should then introduce measures to ensure their employees do not need to walk across these surfaces. To ensure all employees are aware of the location of fragile surfaces on the worksite, employers should make sure appropriate signage is displayed. This could be as simple as brightly coloured hazard tape on skylights to increase their visibility, or official signs warning individuals away from specific sections of the roof. However, signage on its own is not always completely effective. In the May 13 report from HSE, the individual admits that he saw the PVC roof light on his first journey over the roof, but when he turned to come back across the roof he failed to notice the light and stepped on it. When it broke under his weight, he fell 3 metres – fracturing his skull and sustaining other serious injuries. This shows that signage needs to either be more extensive and posted around the entirety of the fragile surface, or coupled with additional safety measures. Often, the easiest way of keeping employees from stepping on a fragile roof surface is to fence off the area with perimeter edge protection. Guardrails should be installed around the perimeters of any openings in roof structures, including skylights and other fragile roof surfaces. A railing used to stop falls from heights should comply with a strict set of codes outlined by Safe Work Australia. These guidelines include ensuring rails incorporate a top and mid-rail and that the height of the edge protection is between 900 mm and 1100 mm above the working surface. These codes of practice ensure that guardrails are visible and will protect an employee from both walking and rolling onto an unsafe area of the roof. If a large portion of the roof is fragile, or the work being conducted requires individuals to work on or above the area that is fragile, employers are required to install raised platforms or floor-laying. This provides employees with a solid work area on which they can undertake their duties without having to place their weight on a fragile surface. There are a range of different platform options that can help mitigate the risk of fragile roof surfaces, including simple step platforms or comprehensive stock-roofs. Understanding what option is right for your worksite may involve seeking professional help from an occupational health and safety trained individual. When an individual is required to work at height, travel restraint and fall arrest systems should be offered if there is any risk of slipping, rolling or falling from the elevated platform. If a roof or raised workspace contains an area that consists of fragile material, a fall arrest system will minimise the risk of an individual falling to the ground if the surface should break beneath them. As damage, decay and frailty can be difficult to recognise in advance, individuals working on a roof are almost constantly at risk of falling through a previously unidentified patch of fragile material. It is therefore recommended that any individual working at height has access to a travel restraint system. By using a harness that is attached to the roof, an individual that discovers an area of fragility may be caught by the fall arrest system before falling through the roof, effectively avoiding any serious injuries. While providing employees with travel restraint systems is recommended, it is also important to ensure each individual worker holds the training and knowledge to use these devices effectively. This can easily be achieved by investing in working at heights training from a registered training organisation, such as AlertForce. For more information on improving safety on fragile roof surfaces, or to access extensive training options for your employees, get in touch with the AlertForce team today. New statistics published by the Associated General Contractors of America (AGC of America) have put the issue of safe traffic management plans at construction sites into the spotlight. According to their research, 45 per cent of highway contractors experienced an incident in their construction work zones during the past year, due to motor vehicles crashing into them. In addition to this, the organisation found that these types of work crashes were more likely to lead to a fatality for vehicle operators and passengers rather than construction workers. A total of 43 per cent of contractors said operators or passengers were injured in the past year, while 16 per cent recorded a fatality as a result of the crashes. However, construction workers aren’t immune. Over 20 per cent of work zone crashes in the period surveyed led to an injury for employees and in six per cent of the cases, one or more workers died. These incidents can have a tragic impact on workers, their families, friends and colleagues – but they can also take a toll on the company as well. In the research from AGC of America, 25 per cent of contractors had to temporarily shut down all construction activity due to a work zone crash and 38 per cent of these lasted two or more days. When it comes to putting in place prevention and risk management strategies, 74 per cent of contractors were in favour of using more concrete barriers to reduce injury and fatality rates. As well as this, 66 per cent said work health and safety training for employees, such as a traffic management course, would be helpful. The AGC study was based on the responses of over 400 contractors around the country, which were gathered during March this year. “There is little margin for error when you work within a few inches of thousands of fast-moving vehicles,” said Tom Case, chair of the organisation’s National Highway and Transportation division. While these results are based on American workers and construction site zones, the message they carry can be applied to the Australian industry as well. According to Safe Work Australia, the national body representing WHS concerns across the country, the construction industry employed 9 per cent of the Australian workforce during 2011-12, or 1.01 million people. In the period between 2007-08 and 2011-12, a total of 211 people employed in the industry died as a result of a work-related incident. That brings the total number of deaths to 4.34 per 100,000 workers, almost twice the national rate of 2.29. Vehicle incidents contributed to 34 fatalities, with 21 occurring when the employee was in a car and 10 when he or she was in a truck. Being hit by moving objects and falling objects each accounted for 29 of these fatalities. Of the workers hit by moving objects, 16 of these incidents involved road transport of some kind. What can be done, and who has responsibility? It’s clear that the problems surrounding construction safety and traffic management remain a significant cause of work-related death and injury in the industry. But what can be done about this serious issue? Under Australian WHS law, any person conducting a business or undertaking (PCBU) has a responsibility to ensure their workplace doesn’t pose any dangers to health and safety. This is achieved either by eliminating the hazards altogether, or if this is impossible, minimising and controlling the risks. The legislation also stipulates that PCBUs are obligated to provide any information or training that would be required to protect people from a risk to their health and safety. There are several issues that can complicate this problem on construction work zones. Firstly, keeping motorists and workers apart is essential to avoid collisions and the possibility of injuries or fatalities. Speeding traffic is one of the major risk factors here, as is inadequate sign posting or lighting. Both of these factors can combine to contribute to drivers failing to notice road workers in their surroundings. Driver error is another cause of work-related incidents in these types of construction zones. All of the normal behavioural factors that can influence typical road safety come into play, such as driver distraction, use of cell phones and unsafe merging practices. Another risk factor was aggressive driving, which led to motorists entering restricted work zones and disregarding warning signage. In these cases, there are several things you can do to promote a higher level of worker safety. Any signs in use need to be clean and in good condition so motorists can clearly comprehend their meaning. Workers who have a direct role in controlling traffic should have received sufficient training, and everyone can benefit from work gear that makes the more visible to passing motorists. Alerting the public in the days preceding the project can be a good way to reduce the rate of incidents. If you can, getting the word out through media channels as well as through roadside warnings as this may be able to reach a wider audience. This way, drivers will be prepared for any change in the road conditions due to construction work being undertaken. For more information on traffic management and control training in Australia, talk to the AlertForce team today. Leading occupational health and safety (OHS) body WorkCover New South Wales has announced a six-week blitz on work health and safety standards on commercial construction sites across Sydney. OHS representatives are currently visiting sites in Sydney's central business district, greater metropolitan areas and regional centres – as well as hot spots across regional NSW – in order to ensure companies are operating in compliance with OHS requirements and laws. This High Risk Commercial Construction strategy was announced after several major accidents and events received national media attention – including instances involving those working at heights. Therefore, the focus of the initiative will be construction companies working on multi-level buildings. "In the past 18 months there have been three high profile incidents in the commercial construction sector involving scaffolding and tower cranes, however, it is important to note there has been no common link between the causes of these incidents," WorkCover NSW's WHS Division General Manager John Watson said in a March 14 media release. While the blitz is a crucial reminder of the importance of following correct OHS standards, industry leaders would like to remind business owners and employers not to wait for accidents to happen before investing in important policies, such as working at heights training. "This initiative is in addition to the ongoing compliance focus applied in WorkCover's daily prevention and response activities," Mr Watson explained. "Our inspectors will address non-compliance issues with regulatory notices and low-risk issues addressed with the provision of advice and assistance." The reasons behind the blitz could be attributed to two key incidents on Sydney construction sites. The first occurred on January 9 this year when a young Indigenous worker fell 30 metres from scaffolding at the Barangaroo construction site. Emergency services were called to the site at 8.30 a.m. but, despite CPR efforts from his colleagues and the paramedics, the 26-year-old man was pronounced dead at the scene. A union representing the construction workers claims that the individual had only been on the job for two weeks and was not being sufficiently supervised at the time of his fall. However, the company leading construction on the site dismisses this claim, revealing that a number of witnesses believe the man may have suffered a heart attack before his fall. The company is currently co-operating with the relevant authorities to uncover the cause of the incident and, in particular, learn whether the death could have been prevented. "Another life lost at work is an absolute tragedy and something these workers will never forget. The safe return home from work is something that all workers should expect and demand and something we will always fight for," NSW Construction Forestry Mining Energy Union (CFMEU) State Secretary Brian Parker told media after the incident. The second event that sparked this OHS blitz in Sydney was the collapse of a five-storey scaffolding rig at the Mascot building site in Sydney's south-east. This event fortunately resulted in no loss of life, but three individuals suffered minor and moderate injuries. The collapse happened while the rig was being dismantled and two workers were lucky to escape with their lives after riding the falling materials 10 metres to the ground. One of these workers suffered limb and chest injuries while the other sustained only minor cuts and abrasions. A bystander was also treated for shock at the scene. Additionally, around 100 workers had to be evacuated from the site – resulting in a full afternoon of lost work. CFMEU Assistant Secretary Rob Kera told the media how shaken up workers were about the incident. "We're lucky we didn't have multiple fatalities down here this afternoon. There would have been a lot of workers on this site, a lot of building workers who can count their lucky stars they are going home this afternoon," he said. This accident brought up mixed reactions regarding the company's attitude to WHS faults. The union representing workers on the site had previously raised concerns about the scaffolding structure, recommending that work be halted on the site. The company, however, rejects this claim, explaining that WHS representatives had visited the site several times and found no faults with the scaffolding or construction processes. As WHS staff visit construction sites across NSW, they will be focusing on a number of high risk activities commonly undertaken within this industry. WorkCover NSW will be holding meetings with all major contractors to inform the investigation process during this High Risk Commercial Construction strategy. Additionally, this will also be an opportunity for WorkCover to ensure employers understand their obligations regarding OHS standards in the workplace. Consultations will also be available to "make clear to the industry our expectations in relation to the action they need to be taking to ensure the safe operations of construction sites and the impact of incidents on the NSW community," Mr Watson explained. Employers in the construction industry in Sydney and across Australia should take this opportunity to review their OHS policy and practices, particularly those regarding working at heights. It is important to ensure all staff required to work above the ground are being offered adequate supervision and working at heights training opportunities. If you would like more information on nationally recognised working at heights training courses, get in touch with the team at AlertForce today. With summer now officially behind us, it is time to start preparing work sites across Australia for the winter conditions ahead. The colder temperatures and wild weather conditions that typically hit the country from May through to October create a unique set of challenges and hazards on construction sites, particularly for those who work at heights. In order to minimise these dangers on your site, it is important to know what conditions will put your employees at the most risk. Once these risks have been identified, addressing them can be as simple as offering working at heights training with a focus on using fall prevention practices and devices. Australia is a large country with a variety of climates and rainy seasons. In Australia’s northern regions, the wet season typically lasts from November to March. However, the overall country experiences 11 per cent more rain in winter than in summer. Even during the dry seasons, severe storms can drop significant amounts of rain, often leading to surface flooding due to the dry ground being unable to soak up the rainfall. Rain is a serious hazard for construction workers, as the nature of their occupation often requires them to work outdoors – exposed to the elements. When severe rain strikes, flooding can pose a significant health risk through a number of dangers. This includes individuals being swept away by flash floods, biological hazards due to water contamination, exposure to asbestos and chemical spills due to floodwaters shifting or breaching storage. It is therefore important that you arrange an emergency evacuation plan for when floods strike your worksite. Additionally, all water sources, dangerous chemicals and damaged property should be checked for hazards once the water level has abated. This will prevent employees from returning to work and suffering an illness or injury indirectly related to the flood. Rain is also particularly hazardous to employees working at heights due to surfaces becoming slick and slippery when wet. It is important that individuals working on sloped roofs and platforms with smooth surfaces are given access to fall prevention devices, such as harnesses and fall-arrest systems. Low visibility is another hazard experienced in rainy conditions. If water blocks an employee’s vision, they could be at risk of tripping over a dropped tool, or tumbling from a raised platform and sustaining a serious injury. Personal protective equipment, such as goggles or hats with front-facing brims, can help minimise this risk. Strong winds are a year-long concern for Australian workers on construction sites. The risk of a unexpected gust unbalancing an individual is particularly dangerous to those working at heights. If wind were to knock a worker off their feet while on a roof or raised platform, the individual is at risk of falling to the ground from a height. Employees should therefore be discouraged from working above the ground on windy days. If working at heights cannot be avoided on a high-risk day, employers need to ensure fall-prevention devices are in use. This includes installing handrails, investing in harnesses and supplying fall-arrest systems to any individual working at heights on your site. When thunder storms strike in your area, it is important to immediately cease any work being performed on roofs or metallic structures above the ground. Individuals working in these conditions are at risk of severe burns and even death if a lightning strike hits the platform they are standing on. However, due to the unpredictable nature of weather, it can be difficult to track and anticipate storms in your region. To minimise the risk of an injury or fatality during a thunder storm, consider investing in rubber mats to place on raised metallic structures. This should help prevent the electricity from affecting workers standing on the platform. Working during severe weather can lead to increased stress and fatigue among your workers. Whether the wild winds have disrupted their sleeping patterns, or the bad weather is negatively affecting their moods, employees struggling with fatigue and stress could be at higher risk of a workplace injury. When individuals are tired or distracted it is easy for them to make a simple mistake or attempt to cut corners to complete work faster. Unfortunately, when these habits occur they increase the risks already present while working from heights. It is therefore important to train your staff to be aware of their personal health and wellbeing. Ensuring they stay focused and complete work to the highest standard is a crucial part of minimising the risk of falling from heights. If you would like more information on training for working at heights, contact the AlertForce team today! When working on a construction site, it is important to protect the safety of all your contractors and permanent workers. An employer's duty of care, as outlined in the Work Health and Safety (WHS) Act, requires site managers and business owners to take all reasonable measures to ensure the health, safety and welfare of all their workers. WorkCover NSW outlines that the term "workers" includes any person who performs work as an employee, trainee, volunteer or apprentice. Outworkers, students, contractors and subcontractors and any employees working for them are also included under this regulation. However, when employers become primarily focused on the definition of workers, it is easy to forget that the WHS Act also requires site managers to ensure the health, safety and wellbeing of all individuals on a worksite. This means that if your construction work is being carried out in an area with a high volume of visitors or pedestrian thoroughfare, it will be your responsibility to ensure measures have been put in place to protect these people. While a great number of construction sites across Australia will involve the typical fenced-off areas and self-contained locations, your contractors and employees could find themselves working on a site connected to a busy shopping area or other spaces with high volumes of pedestrian traffic. This is particularly likely when construction is being carried out in urban areas, such as renovations or expansions on apartment blocks, shopping centres or roadways. Undertaking work in these locations can result in a number of risks for the general public, as they are untrained in how to safely traverse a construction site. It is therefore important that your employees follow safety best practices to protect themselves and the individuals around them. Any personal injury or property damage caused by work undertaken on your worksite or by your workers could result in a very costly public liability claim or, in serious cases, fatalities. Avoiding these incidents is a simple process if correct occupational health and safety standards are being followed. This includes ensuring preventative measures are in place to avoid dropped objects falling into pedestrian pathways, tools and equipment are only being operated by those with sufficient training and an adequate traffic management plan is in place. Traffic management involves enlisting an employee to act as a traffic controller to ensure vehicles, pedestrians and other moving objects are following safe pathways through a worksite. State and federal regulations require the individual in charge of a traffic management plan to hold approved qualifications and undertake training. This means that to enact a sufficient traffic management plan, it is important to ensure your employees are adequately trained in a state- and federal-approved traffic management and control training course. When a person is moving on foot through your site, they are at risk of encountering a number of significant hazards. Understanding these hazards is an important step in preventing an accident or injury from occurring. Traffic hazards involving pedestrians on a construction site include drivers operating vehicles with restricted visibility, unsecured loads falling from vehicles, trailers unhitching, lack of fencing or protection between pedestrians and vehicles, and poorly designed pathways encouraging people to take shortcuts or step outside of their designated areas. Additionally, a lack of space can be a significant risk when pedestrians and vehicles are required to share roads. Accessibility must also be kept in mind when designing a traffic management plan. If an individual with limited mobility is required to climb stairs or use the same ramp as forklifts and other vehicles, it can put this person at a great risk of accident and injury. Recognising and preventing these risks is a crucial part of any traffic management plan on your worksite, as it will help to protect you, your workers and the public from a serious workplace injury or even fatality. What is involved in a traffic management plan? Regardless of the type of work being carried out or the location of the site, a traffic management plan is crucial for any project that involves vehicles, workers and pedestrians sharing space. A comprehensive traffic management plan needs to include a clear understanding of how to allocate thoroughfares and separate the different forms of traffic. This can involve creating fenced-off pathways primarily for the use of pedestrians, but can also be as simple as giving a worker the responsibility of directing traffic and controlling when people can cross roadways and vehicle lanes. If your construction work includes taking up a significant portion of a footpath or designated pedestrian path, you must ensure the individuals on foot are not being forced into a road while unprotected. If pedestrians are stepping into the vehicles lanes, providing cones, fences and signage to warn both the people on foot and those in the passing vehicles of the situation can help prevent accidents and injuries. Additionally, providing areas clear of pedestrian traffic is an important onsite requirement for vehicles that may need to park, reverse and manoeuvre in such a way that limits visibility of the area in front or behind the driver. Other risk management plans include allocating an access way for emergency vehicles if and when an accident occurs, posting sufficient signage so drivers, pedestrians and equipment operators know and understand their allocated paths and providing adequate training to all relevant traffic management staff. According to Workplace Health and Safety Queensland, individuals must carry their Traffic Controller Accreditation Scheme accreditation identity card at all times while working as a traffic controller. They must also be able to present this card to any police officer, transport inspector, WHS inspector and Department of Main Roads auditor when requested. Most states and territories require similar accreditation, which means employers must ensure the workers they ask to control traffic have received adequate traffic management training. Where legislation requires a licence or accreditation to perform this duty, the traffic controller must comply with those regulations. All other people who are required to perform duties associated with shared roadways should be provided with suitable training to perform those duties. In addition to the training requirements, official traffic controllers have a duty of care to all drivers and pedestrians they have been put in charge of. This duty of care means traffic controllers must follow a strict set of regulations in order to perform their role safely and efficiently. Traffic controllers are required to maintain a zero percent blood-alcohol concentration and also avoid drugs or medication that may cause functional impairment. The traffic controller will also be responsible for ensuring adequate signage has been prepared to warn pedestrians and drivers of the conditions ahead. This includes removing the signage at the end of the workday, to avoid unnecessary delays when traffic management is not in place. However, it is the duty of care of the employer or site manager in charge of the traffic controller to make sure this signage is available for use on the worksite. Additionally, site managers and business owners must never ask a traffic controller to do anything that may breach the terms and conditions of the Traffic Controller Accreditation Scheme – Approved Procedure (TCASAP) or cause any employees or visitors to the site to operate in an unsafe manner or environment. For more information on traffic management plans and training on your worksite, get in touch with AlertForce today! There is a significant risk of injury in any industry that requires employees to work from heights, according to Safe Work Australia. In an October 2013 report – 'Work-related injuries and fatalities involving a fall from height' – Safe Work Australia revealed that more than 200 workers had been killed as a result of falls from heights between 2003 and 2011. This figure represents 11 per cent of all workplace fatalities during the eight-year period – the largest proportion of deaths related to any one cause. Additionally, the report found more than one-third (37 per cent) of these falls occurred during work in the construction industry. Other occupations that record the highest numbers of fall from height injuries and deaths include painting and decorating (32 per cent), plumbing (23 per cent) and electrical work (18 per cent). In a surprising development, at least half of these fatal falls involved a height of less than three metres, proving it's not just labourers on roofs and elevated platforms that need to be aware of the dangers of working at heights. During the same period, 7,730 claims for serious injuries due to falls from heights were lodged by injured workers. This means that 21 employees sustain a fall-related injury every day. The typical fall-related injury results in an employee needing more than six weeks off work, which proves that reducing the risk of falls from heights can have significant economic benefits to employers due to a decrease in absenteeism. Furthermore, nearly 6,900 injured workers required hospitalisation following a fall from height during the three year period between 2006 and 2009. This accounts for 9 per cent of all injured employees who required treatment in a hospital in that time. These results show that workplace injuries and fatalities caused by falls from heights are a significant issue in Australian industries. Addressing this hazard and working to minimise the risk is an important step in decreasing workers' compensation claims and potentially decreasing employee death and injury across all occupations. In order to correctly identify and rectify the danger of falling, employers should consider offering their employees construction safety training and occupational health and safety courses related to working at heights training. Falls from height commonly occur when safety best practices have not been followed or inadequate training leads to errors in work procedures. This includes using ladders on uneven ground, walking on unfinished or unstable scaffolding, failing to wear safety harnesses and inappropriately climbing on unsecured shelving or platforms. Incorrect use of ladders can involve working from an upper-level rung without a partner to spot or steady the bottom rungs, or failing to secure the ladder using multiple points on a building or the ground. A number of falls also occur due to scaffolding and roofs not being kept clear of tools and clutter. This can lead to a worker who has their vision obscured tripping and tumbling off the elevated platform. Working during wet or windy weather can also increase the chances of falling from height, as a damp and slick surface may cause a worker to slip and fall, or a strong gust of wind could unbalance an employee exposed to the elements. To prevent these hazards from affecting your workplace, it is crucial to ensure your employees are sufficiently trained in safety best practices. It is also important for workers to identify the risks to themselves and to others in order to enact appropriate measures to prevent accidents and injuries. In order to reduce the risks of falling from height, employers have the option to consult an occupational health and safety representative to assess their worksite. Beyond this, employers should also speak with their workers to identify the risks – as the employees often have more in-depth, first-hand knowledge of what hazards they are facing. Any task that requires an employee to work above two metres presents a risk of falling, which means safety measures must be considered for all of these duties. Once these risks have been identified, there is a five point process workers must follow to establish the most efficient way to remove this hazard from the workplace. The first step to removing these risks is to decide whether the work could be performed closer to the ground. This could include removing moving parts from a large piece of machinery in order to repair it on the ground, constructing tilt-up framing rather than performing construction on scaffolding or fitting vehicle covers from the ground rather than climbing over the load. Passive fall prevention devices – such as guard rails, scaffolding and netting – reduce the risk of falls from heights by creating a barrier between the employee and the ground. This method can be very effective when guard rails are correctly installed. This includes ensuring rails are raised above waist height, to stop a worker's centre of gravity tipping them over the device. Additionally, rails and scaffolding should not contain large gaps below the upper guard as falls can still occur when an employee slips or rolls underneath an official guard rail. If a passive fall prevention device is unsuitable, you may want to consider work positioning systems. These typically include rope access systems and travel restraints. This would involve workers wearing a harness attached by a lanyard to roof anchors or static lines. However, these devices often rely on the skills of the user and an effective system of maintenance. Any untrained use of such devices could still lead to a fall-related injury or death. A fall injury prevention system is fundamentally different to a work positioning device. This level of protection involves installing safety nets, catch platforms and individual fall arrest systems. These devices will ensure any employee who trips, slips or falls is caught before injury is sustained. Installation of a fall injury prevention device should always be undertaken by a trained professional. When all other points have been tried and exhausted, a last resort should be relying on simple safety procedures and ladders. These options are unlikely to significantly reduce the risk of injuries if falls occur, but correct controls and ladder use can minimise the occurrence of serious falls in some cases. This step should be taken to comply with Fair Work regulations, which require an employer to provide their workers with a safe and healthy working environment. Working safely at heights is an important step towards improving Australia's troubling workplace fatality and injury rates. This requires an industry-wide compliance, with all occupations and businesses taking steps to reduce the risk of falls from heights. The Working at Heights Association (WAHA) recently released a report that shows the use of fall-prevention measures is an area where many sectors require improvement. Their February 12 statement revealed that of those businesses already using these systems, more than 60 per cent failed to comply with industry standard regulations. This suggests a need for further working from heights training and better access to professional services to install and maintain fall prevention systems. For more information on working at heights courses and training, contact the team at AlertForce today. If you and your staff are going to be working at heights, it’s important you know what control measures should be put in place to keep yourselves safe. A recent study conducted by Safe Work Australia shows that working at heights is one of the most dangerous occupations in the country. It took the lives of 232 people between July 1, 2003, and June 30, 2011. That represents 11 per cent of all work-related deaths that occurred during this period. In addition to this, in 2010-11 a total of 7,730 people were seriously injured after falls from heights. Safe Work Australia reveals that’s about 21 people a day, all of whom required at least one if not more weeks off from work to recover. These deaths and injuries could have been easily avoided if the right control measures were used. It should be noted that simply putting control measures in place is not enough when it comes to preventing falls from heights. What makes this area of OHS law so unique, reveals WorkCover New South Wales, is the Hierarchy of Controls that dictates it. Basically, there’s an order in which particular control measures should be used. When introducing control measures to your workplace, you must start at the top of the list and work your way down. You should only use control measures that appear lower in the Hierarchy of Controls when it’s been determined those above them are not viable. According to WorkCover New South Wales, the Hierarchy of Controls has three different levels of control measures. The first is a “stable and securely fenced work platform”, which should not only be provided to those working at a height, but also regularly maintained. One example of such a work platform could be scaffolding. This must be erected and dismantled by a qualified worker, as well as inspected before its first use, after repairs and at least every 30 days to make sure it remains safe to use. If – and only if – the implementation of a “stable and securely fenced work platform” is not possible, you should then proceed to introducing the second level of control measures. This includes the “provision and maintenance” of physical barriers that are capable of stopping a worker from falling. These physical barriers can be anything from secure perimeter screens via fences to handrails. It’s important that such physical barriers are strong enough to withstand someone falling against them. They also need to be in place before any tasks are performed in your workplace. Finally, if you are unable to comply with the first two levels of the Hierarchy of Controls, you are required to observe the rules outline in the final level. This involves supplying your workers with physical restraints that are designed to arrest “the fall of a person from a height of more than two metres”. These are known as fall-arrest systems. How do you know when to use fall-arrest systems? As mentioned earlier, you should only proceed to the third level of control measures – fall-arrest systems – when it’s not “reasonably practical” to implement the second level of control measures. The same goes for the second level of control measures – these should only be relied on when the first level of control measures has been ruled out. The design of your workplace may render it impossible to erect scaffolding or another type of portable work platform. If your staff are working at heights in a small area, for instance, you might not have the room to set up scaffolding. WorkCover New South Wales adds that “similarly, it may not be reasonably practicable to use a physical barrier, for example, because it may not be possible to fix it due to the roof profile or type of rafters being used”. In these situations, it’s likely that you’ll need to implement fall-arrest systems in order to comply with OHS laws. Just remember, you will need to document your reasons for making this decision. It should also be noted that control measures from different levels can be used in conjunction to make sure all of the risks associated with working at heights are managed. They may be something of a last resort on the Hierarchy of Controls, but fall-arrest systems have an important role to play in risk management. While many can’t stop a worker from tumbling down in the first place, these devices can ensure your staff don’t fall an uncontrolled distance. They can also be used to reduce the impact of a fall, thereby preventing workers from sustaining fatal injuries. These are temporary platforms that are set up under workers who are performing tasks at an elevated level. As the name suggests, they’re designed to catch workers if and when they fall, effectively reducing the distance they plummet and preventing them from getting seriously hurt. Catch platforms need to be strong and positioned so the “deck extends at least two metres beyond all unprotected edges of the work area,” explains Safe Work Australia. In addition to this, it needs to be placed so the maximum distance an employee could fall onto it is no more than one metre. According to the Code of Practice, one of the major advantages of using safety nets is the “freedom of movement” they give people working at heights. If you do implement safety nets in your workplace, however, make sure they are set up and properly anchored before any work begins and they’re made of a strong material. They also need to be positioned so that anyone falling into them does not make contact with the ground or surface below the net. There are a huge variety of individual fall-arrest systems available. These include anchorages, rope grabs, harnesses, rail systems and lifelines, to name just a few. These are basically devices that are worn by the workers themselves, which means it’s of paramount importance that every person using one knows how it works, is wearing it correctly and is able to identify when it’s not functioning as it should be. Enrolling in a Working at Heights Training course is a fantastic way to acquire all of this knowledge. The final fall-arrest systems featured in Safe Work Australia’s Code of Practice are anchorage lines and rails. These are normally used by people working on ladders or other climbing devices and are designed to provide “continuous fall protection” as they move up and down. These must be set up so the maximum distance a worker can “free fall” is 600 mm. It’s important to inspect anchorage lines and rails after a fall to make sure it’s in working order next time it’s used. If you’re interested in learning more about fall-arrest systems, as well as the other control measures that can be used to prevent falls from heights, a Working at Heights Training course is the best way. For more information get in touch with the AlertForce team today! How can we boost safety in Victoria’s construction sector? Victoria is one of the safest places to work in Australia, according to Assistant Treasurer Gordon Rich-Phillips. He made the announcement in a December 31 statement, revealing the number of work-related injuries in the state is on the decline. "The Victorian Coalition Government has worked with employers and employees to ensure workplace safety continues to be a priority and ensure that those workers injured at work are able to return as soon as possible," said Mr Rich-Phillips. Information collected by the Victorian WorkCover Authority (VWA) shows that in the year to September 2013, the amount of claims being made for work-related injuries fell by an impressive seven per cent. While during the previous 12-month period, there were 7.98 claims per million hours worked, that rate has now dropped to 7.42 claims per million hours worked. This is a record low for the state. Mr Rich-Phillips was proud of the result, stating that Victoria "continues to set the standard for workplaces in occupational health and safety across Australia". He added the state was "on track" to see the number of work-related injuries get smaller over the coming year. However, there are some who disagree with this statement – and they've got their own statistics to back their opinions up. Though, as a whole, Victoria may be one of the safest places to work in Australia, there is one sector in the state that stands to improve when it comes to occupational health and safety. According to the latest facts and figures published by WorkSafe Victoria, around 50 people from the construction industry are seriously injured each week and unable to work as a result. The organisation states that, more often than not, these injuries are due to basic construction site safety practices not being "up to scratch". The construction sector is one of the most dangerous in Australia. Across the country, just over one million people are employed in the industry – a number that represents a whopping 9 per cent of the entire workforce. Around 225,000 of these people work in Victoria's construction sector alone, and it's one of the fastest growing industries in the state. Between 2011 and 2012, a total of 13,735 claims were made for work-related injuries in the construction sector in each state and territory. Safe Work Australia demonstrates that during the five years from 2007-08 to 2011-12, the industry was responsible for 11 per cent of all claims that were made Down Under. That equates to about 39 work-related injuries each day that required one or more weeks off. So, despite being dubbed one of the safest places to work in Australia, Victoria has a construction sector that sees more work-related injuries than the national average. While the state's other industries may be leading the way in terms of occupational health and safety, its construction sector doesn't appear to be. There are a range of pathways open to those who want to reduce the number of work-related injuries in Victoria's construction sector. The following are just a couple. One way that has been put forward by numerous groups is adopting the 2011 Work Health and Safety Act. This set of rules and regulations was introduced three years ago with the purpose of harmonising occupational health and safety laws across the country. Before 2012, all governments came up with their own laws on this topic, which meant there were discrepancies between different states and territories as to what constituted best practices in occupational health and safety. In the present day, almost every state and territory has agreed to follow the 2011 Work Health and Safety Act except for two – Western Australia and Victoria. The latter is still following the Occupational Health and Safety Act 2004, which many believe contains a lot more "grey areas" than the 2011 Work Health and Safety Act. In particular, the meaning of certain terms, such as "director and officer duties" is unclear in the document from 2004, leaving it up in the air as to who is responsible for specific areas of occupational health and safety in the workplace. Treasurer of Victoria, the Hon. Kim Wells MP, said during his budget speech in 2012 the new-and-improved Work Health and Safety Act offered "little benefit for Victoria to offset the $3.4 billion of estimated costs," which is why the government had chosen not to adopt it. However, the topic "Why Victoria will not adopt the new WHS Harmonisation Laws?" is set to be discussed at the Victorian Safety in Construction Conference, to be held in June, which may help to convince the government that embracing the 2011 Work Health and Safety Act is the best way forward for this industry. Another, complementary road toward better occupational health and safety that workers in Victoria's construction sector might want to take is training – especially in particularly areas that have proved deadly in the past. Data collected by Safe Work Australia shows that two of the most common causes of serious injuries and deaths on construction sites are falls from heights and vehicle incidents. Between 2008-09 and 2011-12, falls from heights cost 51 people with construction jobs their lives. A total of 18 fell off buildings, while 15 tumbled off ladders and eight fell off scaffolding. In addition to this, falls from heights were the reason behind 26 per cent of all claims for work-related injuries during this five-year period. After falls from heights, vehicle incidents were the second-most common causes of death in Australia's construction industry. A shocking 34 people were killed as a result of such accidents between 2008-09 and 2011-12, with 21 involving workers in cars and 10 involving workers in trucks. A further 29 people were killed as a result of being hit by moving objects, such as vehicles. A total of 16 per cent of all claims for work-related injuries were made as a result of being hit by moving objects. In order to prevent more people from being injured or killed by falls from heights and being hit by moving objects, both employers and employees in Victoria's construction industry should consider Working at Heights and Traffic Management training. AlertForce offers a range of courses in both areas of the construction sector, which will provide workers with a good grounding in best practices and help them to keep both themselves and their co-workers safe on site. Our Working at Heights training with equip workers with the skills and knowledge to perform tasks safely on ladders and scaffolds, as well as understand how to identify, assess and manage the risks associated with working on an elevated level. Traffic Management training, on the other hand, will provide you with the ability to maintain traffic control and promote a safe working environment that includes vehicles of all shapes and sizes. For more information, get in touch with the AlertForce team today! Safe Work Australia has just released its "Notable Fatalities Monthly Report" for September 2013, which contains some much-needed facts and figures about the state of WHS in our country. Overall, there were 14 work-related fatalities in September. A total of eight male employees were killed, along with one female and five male bystanders. The report shows that three people died as a result of vehicle incidents, both on public and non-public roads, while two people lost their lives after falling from height. The remaining fatalities occurred when people were trapped in machinery; hit by vehicles, moving or falling objects; electrocuted; or suffered insect bites and stings. While some industries are clearly more dangerous than others, as the "Notable Fatalities Monthly Report" shows, it's interesting that the top five industries featured on the list are widely different. These are: transport, agriculture, construction, public administration and safety, and manufacturing. This demonstrates that no matter which industries you're working in or what tasks you're performing, following the necessary WHS procedures is paramount – it could mean the difference between life and death. The following is a quick run-down of Down Under's most deadly industries, according to the number of fatalities noted in Safe Work Australia's report. The transport sector is by far and away the most dangerous in Australia, with a shocking 51 work-related fatalities recorded in the year to September 2013. In the month of September alone, 5 people lost their lives in the transport sector. A total of 23 workers and 28 bystanders were killed. Nevertheless, this industry plays a vital role in our country's economy and is a huge employer – some estimates put its workforce at 1.2 million people. Australia will always need skilled people to work in the transport sector, so it's important they know how to look after themselves. What can you do to keep safe? AlertForce offers a wide range of training courses that are designed for those working in the transport sector. Our Dangerous Goods Training, for example, will provide you with the know-how to transport materials such as acids, paints, gases and pesticides by sea or air. We also have Forklift Safety Training and Load Restraint Training. The former course will teach you everything you need to know about operating a forklift, such as moving loads and parking, as well as how to navigate your working environment safely. The latter will show you how to choose the right vehicle for whatever you're attempting to transport and how to arrange and restrain loads according to best practice. Unsurprisingly, the agriculture sector is high on Safe Work Australia's list of work-related fatalities, coming in second place. In the year to September 2013, a total of 33 people in this industry died. In contrast to the transport sector, it's the workers themselves rather than the bystanders in this industry that are most at risk – 32 out of the 33 people who were killed last year were workers. This industry employs around 1.6 million people (both directly and indirectly) across the country. It also injects approximately $49 billion into the Australian economy each year. The biggest hazard facing workers in the agriculture sector is vehicles. These vehicles – which include tractors and quad bikes – are responsible for almost three-quarters of the work-related fatalities recorded in this industry. While steps have been taken by many groups, such as FarmSafe Australia, to address the issue, there is – as always – more work to be done. AlertForce's Injury and Illness Training is just one of the courses that you and your workers could benefit from. This covers a variety of health conditions including poisoning and stings, hypothermia, fainting, heart attacks and heat-related illnesses. The third most dangerous industry in terms of fatalities is the construction sector. While the number of workers and bystanders who have lost their lives in this industry is much lower than those recorded in the transport and agriculture sectors, one death – as the saying goes – is still too many. A total of 19 people were killed in the construction sector in the year to September 2013. Again, the majority of these were workers – 15 in all – while the remaining 4 were bystanders. According to WorkSafe Victoria, a whopping 50 construction workers are seriously injured in the state each week – usually because "basic site safety is not up to scratch," a spokesperson revealed. In a sector that's one of the fastest growing in the state and employs 225,000 workers, this statistic must not be ignored. At AlertForce, WHS that relates to the construction sector is one of our strengths. From general Construction Safety Training that equips workers with the skills they need to identify, assess and manage hazards that may crop up on site, to specialised courses, such as Lockout Tagout Training, AlertForce can help your employees get home safe at the end of each working day! In fourth place is the public administration and safety sector with eight deaths (six workers and two bystanders). This covers a wide range of professions, such as security officers, lifeguards and probation officers. AlertForce offers a First Aid Training Course, which is the cornerstone of all WHS. This is an online "refresher" course that is perfect for those who are looking to brush up on their knowledge and skills in this area. While the manufacturing sector is leading the way when it comes to research and development (apparently one-quarter of all business expenditure went toward this in 2012-13), it's also one of the frontrunners when it comes to work-related fatalities. With a total of seven deaths in the year to September 2013, the manufacturing sector earns its spot as the fifth most dangerous sector in the country. All seven of the people who died during this 12-month period were workers – no bystanders lost their lives. The Department of Industry reveals that, as of the September quarter, an impressive 921,400 people were employed in the manufacturing sector. Like the other industries discussed in this article, it is also a massive contributor to our country's economy, raking in an estimated $105 billion in 2012-13. One of the AlertForce courses you might want to consider enrolling your workers in is Hand Safety Training. This will cover a useful array of topics, including how to operate machinery in a safe way, how to adopt the right grip (so your workers aren't crippled by repetitive hand strains), how to use gloves and the steps you can take to avoid hand injuries in the working environment. This is just the tip of the iceberg – AlertForce's WHS courses are suitable for almost every sector – no matter how dangerous. Get in touch with our team today to help make sure you're safe and healthy at work tomorrow! The ladder is one of the most common tools used in the construction industry. However, it can also be one of the most dangerous when it's not used properly. According to "Work-Related Injuries and Fatalities Involving a Fall from Height" – a report published by Safe Work Australia – ladders are responsible for a large number of injuries and deaths in our country each year. In fact, an entire page of the report is devoted just to this particular subject! It reveals that between July 1, 2003, and June 30, 2011, a total of 37 workers in Australia died after falling off a ladder. Approximately one-third of these people were employed in the construction industry. The majority (six workers) fell while either ascending or descending the ladder. This is evidently a risky part of using this tool, so make sure you keep the following in mind when performing such a task. How is your ladder placed? It's important that your ladder is secure, so that it can't move around when you're climbing up or down. The ladder should be supported at its base, as well as placed against a stable surface. If you discover the ground you need to place the ladder on isn't stable, use a levelling device to make it even. It's best practice to fasten your ladder at both the top and the bottom, as well as have a co-worker stand below while you're ascending or descending. Ideally, they will be stand at the base of the ladder the entire time you're working on it – both to keep the ladder in place and keep an eye on you. Interestingly, "Work-Related Injuries and Fatalities Involving a Fall from Height" reveals that of the 37 falls from ladders which occurred from 2003 to 2011, the reasons for only 20 of the falls are known. That suggests no one was around or watching when 17 of these workers fell. If they had been, perhaps these accidents and their deaths could have been prevented. You should avoid using a ladder when the weather is excessively wet or windy, as this will increase your likelihood of slipping when climbing up or down your ladder. Wearing slip-resistant shoes at all times is also a good idea. However, it's not just your ability to ascend or descend the ladder safely that can be impacted by its placement. Safe Work Australia revealed a total of three workers fell because the ladder they were working on moved, one died because his or her ladder collapsed and one worker was knocked off the ladder by a falling tree branch. This last incident points to the importance of ensuring your ladder is placed as far away from hazards as possible. WorkCover New South Wales says that if you're going to be using a ladder near any power lines, you should ensure that it's made from a material that doesn't conduct electricity. Stay away from metal ladders or those that might be reinforced with wires, and instead opt for wooden or plastic ones. You should also avoid setting up a ladder anywhere near "sharp objects, machinery or chemicals". It's important to erect them away from doors, too, so that there's no chance of your ladder being knocked over if someone opens a door below. The report also states that four workers died between 2003 and 2011 after falling off a ladder due to over-balancing. While this may in part have been due to how their ladders were placed, the way they were performing tasks on them would also have factored into the equation. How are you using the ladder? When you are climbing up or down a ladder, make sure both of your hands are free to hold on tight. You should never be holding other equipment when you are moving on a ladder – it should either be stored in your tool belt or transported to you independently. You should also be facing the ladder at all times, whether you are climbing or standing still. It's best practice to maintain three points of contact when on the ladder – for instance, two feet and one hand. In addition to this, ensure you never place your feet above 900mm (usually the third rung) from the top of the ladder. According to WorkCover New South Wales, following this rule will make sure you can always hold onto the ladder at waist height, which is the safest method and one of the best ways to prevent yourself from over-balancing. Most of the time, accidents occur on ladders because workers are trying to use them in ways they were not designed to handle. One of the most common causes of over-balancing is over-stretching. You should never lean too far to the left or right when using a ladder, as this could cause you to fall. If you can't reach what you're trying to work on without doing this, safely descend the ladder and readjust it so you can. If you would like to make sure you're following best practices when it comes to using ladders, you may want to enrol in AlertForce's Working at Heights course. This is a quick and easy online training course that will provide you with a fantastic overview of working safely on ladders. Two cranes came crashing together at the Royal Adelaide Hospital (RAH) construction site. The CFMEU attributed the collision to a failed alert system which resulted in them touching. Fortunately the accident did not result in any injuries, however SafeWork SA was summoned for an investigation. This most recent incident is just one of several accidents at the site that have occurred involving cranes.Union official Mike McDermott revealed that workers were convening safety discussions this morning. McDermott remarked that this incident was the third with cranes in the last few weeks. ” HYLC in their wisdom have sent two cranes back out to start work again already before the incident has been properly investigated and before SafeWork SA have actually got down here and look I just wonder what it’s going to take before they’ll actually stop these cranes,” he said. The CFMEU revealed that workers had walked out of the job until safety issues are fleshed out. The union called for an assessment on whether safety standards were being adhered to at the site. The stopwork meeting and walk-off by workers is being investigated by the Fair Work Commission. A UK construction company has been hit with a AUS$76,000 fine after an employee was permanently injured as a result of his work. The Health and Safety Executive (HSE) reported that the worker developed bilateral carpal tunnel syndrome due to the nature of his work and the failure of the employer to adhere to OHS practices. Due to the employer’s negligence, the worker was not adequately protected from the prolonged effects of handling vibrating power tools on a daily basis. As a result of extensive, heavy-duty work such as breaking floors and foundations, the worker suffered permanent nerve damage. Additionally, the HSE revealed that the company, based in East Sussex, failed to protect its workers from numerous other hazards. For instance, it allowed unsafe work at height and didn’t provide sufficient support for the sides of a deep excavation. These claims were corroborated by photographic evidence taken by the employee. HSE Inspector Amanda Huff explained that the worker’s injury could have been prevented if proper OHS standards were in place. “Carpal tunnel syndrome is a painful and debilitating condition that [the employee] need not have developed had his health and his use of vibrating tools been properly monitored and controlled,” she said in an October 28 media release. As a result of his employer’s negligence, the employee will now face “a lifetime of discomfort”, Ms Huff added. With the hazardous equipment and environments involved with construction work, comprehensive construction safety training is a must for both employers and employees in this industry. Investing in such courses will ensure that unfortunate cases such as these can be avoided. A Western Australian construction company has received a fine of $65,000 for failing to address substandard construction site safety procedures that resulted in the death of a worker. The incident occurred on the afternoon of May 31, when the individual in question fell through a skylight in the roof of a shed, dropping seven metres to the floor and suffering fatal injuries. The man was working in a team responsible for installing wall cladding and roof sheeting on the structure. He was moving across the roof to retrieve some screws when he stepped onto a polycarbonate sheet that gave way. WorkSafe WA is reporting that no wire safety mesh or edge protection had been installed on the shed. The company also failed to provide those working on the roof with safety harnesses. According to WorkSafe WA Commissioner Lex McCulloch, falls are “a significant cause of workplace death” in Western Australia, and also contribute to a number of serious and permanent injuries on construction sites in the state. “It’s really disappointing that employers and persons in control of workplaces are still neglecting to protect workers against falls from height when falls are so easily preventable and it need not be difficult or costly to ensure that safe systems of work are in place,” said Mr McCulloch. Mr McCulloch described the incident as “a tragedy waiting to happen”. Although the construction company made moves to improve worker safety following the incident – including buying safety mesh and harnesses – that investment came too late to prevent this regrettable death. “I urge any person or entity in control of a workplace that presents a risk of falls to ensure safe systems of work are in place and that this code is available in the workplace at all times,” he said. The Construction, Forestry, Mining and Energy Union (CFMEU) has reaffirmed its commitment to fight against the proposed re-establishment of the Australian Building and Construction Commission (ABCC). Prime Minister Tony Abbott last week called for the ABCC – which was abolished on 31 May 2011 – to be re-established in an effort to improve construction productivity and reduce the amount of power the CFMEU has over the industry. However, CFMEU Construction National Secretary Dave Noonan has asserted his organisation will fight against the proposed changes, saying these will compromise construction safety and the wellbeing of CFMEU members. “Tony Abbott has no mandate to take away our members’ human rights; no mandate to cut their wages and no mandate to make their jobs less safe,” said Mr Noonan, speaking at the union’s Divisional National Conference in Cairns earlier this week. Prior to the election, Tony Abbott announced that he would look to re-establish the ABCC within 100 days of being in power were he to be made prime minister. The argument is that this measure would reduce the level of union militancy in the industry and help employers maximise productivity on site. However, Mr Noonan has argued that CFMEU employers understand the Australian construction industry is already productive. He also said that the best way to improve construction productivity would be to focus on “safety, apprenticeships and training”. Recently, the Queensland government has made moves to impose tighter rules regarding the CFMEU’s right of entry to construction sites in the state. Mr Noonan believes legislation like this is a step in the wrong direction, and will make it easier for employers to shirk construction site safety responsibilities. “The Newman government in Queensland is attacking workers’ rights to have the union look after their safety. They simply don’t care that this will result in more death and injury to workers,” said Mr Noonan. WorkSafe Victoria has issued a reminder about the importance of proper construction site safety in volatile weather, as high winds bear down on the state causing damage and destruction. Earlier this week, Melbourne was ravaged by winds of more than 140 kilometres per hour, putting high demand on the State Emergency Service and leaving thousands without electricity. Wind gusts of 142km/hour were recorded at Hogan Island on Wednesday, while winds at Mt Gellibrand, Mt Buller and Cape Nelson all exceeded 115km/hour according to the Bureau of Meteorology. WorkSafe chief executive Denise Cosgrove has warned that construction sites can be perilous places during strong winds, as construction materials can become “deadly missiles” if not properly secured. “Any object that isn’t properly secured is at risk when strong winds hit, and that means the people around them are at risk, too.” said Ms Cosgrove. Builders, sub-contractors and outdoor workers have all been encouraged to ensure that any loose or otherwise potentially dangerous material is adequately braced or secured, to ensure their own safety and that of the general public. Outdoor event organisers have also been reminded about their responsibilities in high wind conditions, as Victoria’s busy events calendar picks up during spring. “The infrastructure associated with temporary events, such as marquees, portable seating, rides, bunting, flags and signage need to be assessed and properly secured to withstand strong winds, or any sudden wind changes,” said Ms Cosgrove. The Victoria State Emergency Service has also issued a more general warning, advising people to keep their distance from fallen power lines, creeks and storm drains during this time. It is recommended that Victorians avoid travelling through flood water – either by car, bike or on foot – during this period of volatile weather. Care should also be taken while driving to look out for any debris left on the road.